MaxxTech .380 ACP 95 Grain FMJ | BUDK.com - Knives & Swords At The Lowest Prices! 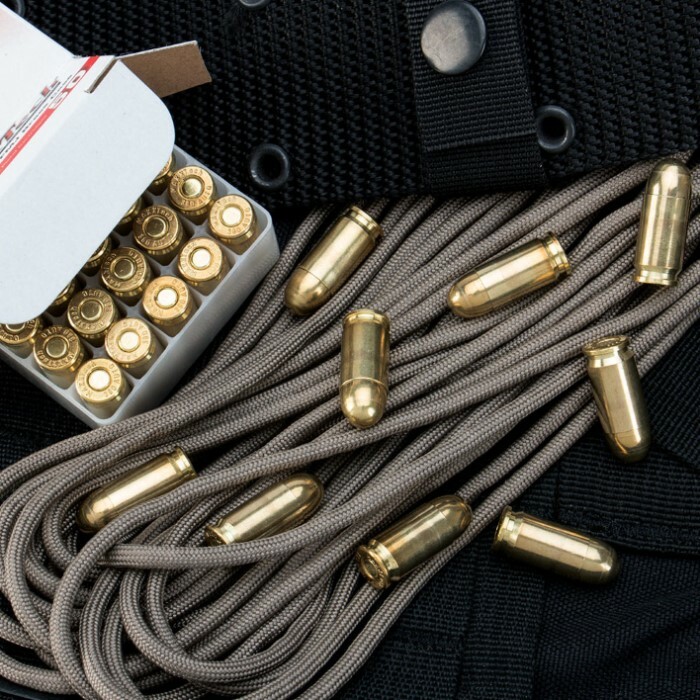 Whether you’re target shooting or practicing or just plinking, MaxxTech is the ideal ammunition for you. It’s not only reliable but it’s premium ammo at an affordable price. This .380ACP load is a 95 grain, full metal jacket bullet, which is boxer primed. You get a 1049 fps projectile made with a new reloadable brass case. This is a box of 50 rounds. I have purchased a number of boxes of this MAXXTech .380 ammo and will order more with free shipping - it's a real bargain but also it's top quality ammo. I use it in my Russian made Makarov .380 (chambered for .380 ACP and not for the 9x18 Makarov caliber) and also for my Ruger LCP and the ammo has performed flawlessly through both pistols without any malfunctions of any kind. 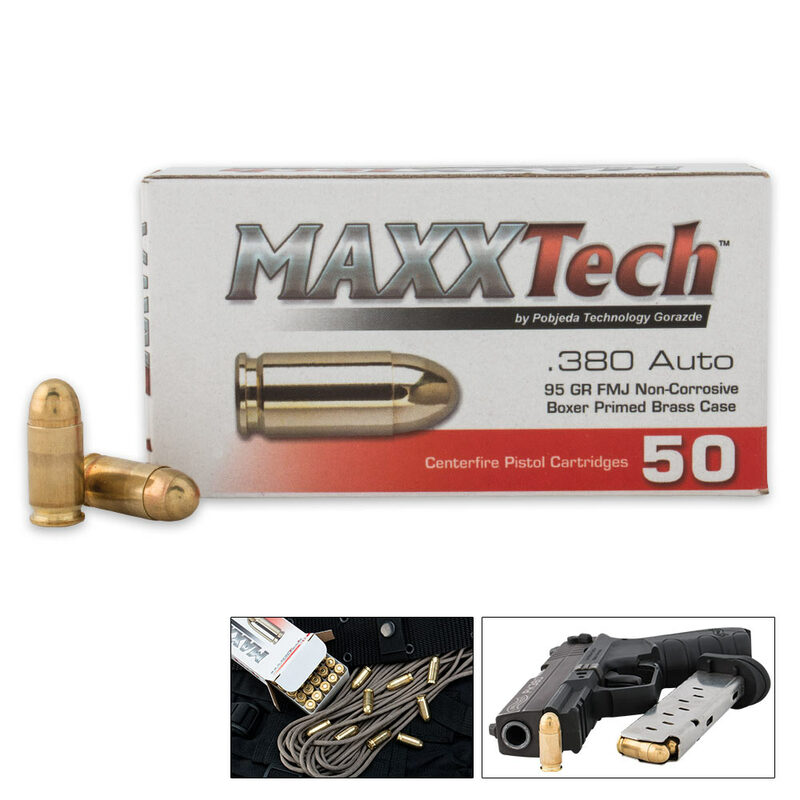 I am very happy with this ammo and when they offer free shipping I jump on it. Happy trails and safe shooting. I have fired over 1,500 rounds of this through my Sig P238. No miss fires, no fail to feed, and no fail to eject.